While you are waiting for these things to happen, make every effort to be found living peaceful lives that are pure and blameless in his sight (v.14). In 2005 Dean Karnazes ran 350 miles in eighty hours—setting the world record for distance running without sleep. Ten years later, Rob Young, nicknamed the “Marathon Man”, broke the record by covering nearly 374 miles in eighty-eight hours. Young, who had endured abuse by his father as a child, said he ran with two goals in mind: to test the limits of human endurance and to help the world become a better place for kids. The apostle Peter encourages us to continue running the race for Jesus—making “every effort to be found living peaceful lives that are pure and blameless in [God’s] sight”, and to “grow in the grace and knowledge of our Lord and Saviour Jesus Christ” (2 Peter 3:14,18). As we press on, we’re reminded that although the race in Christ can sometimes seem to be long and taxing, God “isn’t really being slow about his promise”—He’s simply patiently allowing us to keep following His pace, for “He does not want anyone to be destroyed, but wants everyone to repent” (v.9). Rob Young runs to raise funds to help kids find a better life. As believers in Jesus, we also run life’s race to serve others: working towards helping them experience God’s life and joy—now and eternally. We run against winds blowing contrary to God’s truth—including distortions of God’s intent for healthy sexuality, selfish desires and a tendency to resist His reality (2:10; 3:3). However, we can live pure, blameless, grace-filled lives by sharing Christ’s spirit through His Spirit as we look forward to our future with Jesus (v.12). He provides the wisdom, power and strength we need to stay in the race as we grow in Christ-likeness. “All glory to him, both now and forever! Amen” (v.18). Read Philippians 3:14 to see what Paul looked forward to at the end of life’s race. 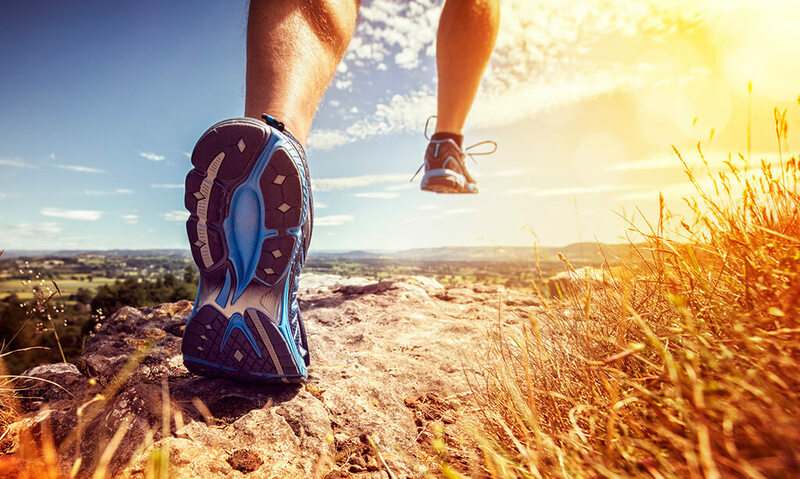 What’s been negatively affecting your pace as you’ve strived to run well for Jesus? As you consider Peter’s words in 2 Peter 3, what gives you encouragement to press on in Christ today?